With growing consumer awareness, companies in the Perishable Goods industry are finding it increasingly difficult to live with the problem of low freshness of stocks at the point of Sale. Companies in Pharma, Food and Beverages sector are facing non negligible bottom-line erosion due to the need for discounting to get rid of near-expiry stocks as well as write-offs of expired stocks. Even though, freshness impacts a company in a multitude of ways, Industry is still not clear how to correct the mess, one which has been created by the industry itself! Let us understand how freshness impacts the business of a company, what is at the root of this problem, why actions taken by companies do not solve the problem and most importantly, is there a WAY OUT? A 2010 study by Asian Food Information Centre (AFIC) reveals that 67% of Indian Consumers actively consider expiry date before buying perishable goods. It is therefore, highly likely that when the stocks on shelf are even near-expiry, the customer will either postpone the buy or will switch to a competing product leading to a loss of sale. Also if a customer experiences similar experience multiple times, there is high likelihood of losing that customer forever. Since write-off due to stock getting expired has a direct impact on the profitability, companies adopt the practice of monitoring stock ageing on a regular basis. As the stock ageing goes beyond an internal threshold, actions are taken to get rid of the stocks by pushing it forward into the supply chain. Distributors & Retailers are also afraid of getting stuck with the near expiry stocks, hence they agree to take up stocks (which they are reasonably sure of selling, before expiry) only at a high discount. This results into a significant erosion of company’s profitability. The stocks which company is unable to push need to be written-off as per statutory norms, leading to a further erosion of profitability. The extent of forecasting errors is very high in case of New Product launch, hence there is greater likelihood of distributors/ Retailers getting stuck with stocks of products that don’t click. Since in perishable goods industry, distributor/retailer has a limited window of time to sell the stocks, he is more cautious of accepting stocks of new products. This slows down the launch, and therefore in a number of cases, new products are termed ‘Failure’ even before getting adequately tested at the point of sale. The write-offs due to obsolescence in the industry vary from 1% to 5% of the Net Sales Value. Add to this the impact of discounting and the cost of delay in launching new products, the profit erosion becomes significant. As per our conservative estimates, the erosion is about 10% of sales for most companies. Hence, it behooves us to examine where this problem comes from. a) Time taken for the SKU to reach the Point of Sale after production. Companies tend to attribute the loss of freshness to the latter part with the justification that it depends on a number of sales pull factors like strength of the brand, motivation of the seller, consumer preference etc. However, as per our experience, if the first part of the problem is taken care of and there is a non-zero sale rate for the product, the issue of loss of freshness is resolved. Therefore, let us focus on the former part and delve deeper into it. Consider the case of a company which sells products with statutory shelf life of 9 months from the month of manufacturing. Theoretically, after production, time taken for any SKU to reach Point of Sale anywhere in India should not be more than 15-20 days. It will be interesting to understand why some stocks don’t reach the POS even after 5-6 Months. The supply chain of any company is a variant of the one shown below. There are a number of intermediate stocking points in the chain. The time taken for a SKU to reach POS is therefore sum of the transit time plus the waiting time at the various stocking locations. The waiting time is equivalent to the number of days of Inventory in the chain for that particular SKU. It is important to note that although a company might have 2 months inventory in the supply chain, this figure is actually an average and hence very misleading. It means that some SKUs will be stocked out, and some will have more than 12 months inventory. This leads us to the question, if high inventory in the supply chain is leading to loss of freshness, why are companies not controlling the inventory? The industry is caught in a constant conflict between Freshness & Availability. If players try to improve freshness (by keeping close eye on the inventory & ageing and rationing stocks accordingly), there is an increase in Stock outs leading to loss of sale. If they try to increase Availability, there is a need for greater safety stocks, inevitably leading to loss of freshness. So there is a constant battle between SCM team (fighting for Freshness) and Sales team (fighting for Availability). The result is a dynamic compromise decided by short-term business imperative or the team that has more clout. The number of SKU-Stocking location combination gives us a picture of the number of decisions to be made on a daily basis. E.g. Dabur in India has close to 50 Carrying & Forwarding Agents, which supply to more than 750 large distributors. Each of these distributors then supply to more than 100 retailers. Multiply the above with the number of SKU’s (~100) and we have 7.5 Million decision points per day. This makes it very difficult to have forecasting and logistics planning at a SKU level granularity, further magnifying the mismatches. The tendency of flooding the market with the new product as per estimations coupled with the high probability of the estimation going wrong results in stocks getting stuck down in the supply chain and hence deterioration of freshness. All these result in a spurt of demand for short periods. Due to long lead times, it is impossible for the supply chain to react to change in demand in these periods. The only way left for companies is to push huge stocks to the lowest level in the chain (retailer), leading to stocks getting stuck there for longer period and increasing the risk of expiry of stocks. Retailers and Consumers have a strong desire to buy only the freshest stocks unless provided with some significant incentive. It is not unusual to find people in a mall, trying to find a Juice packet with the farthest ‘Best before’ date. This has also been accentuated by the enhanced consumer awareness as an outcome of higher literacy and initiatives like ’Jago Grahak jago’. This makes it difficult for companies to purge out older stocks. Since the sale is registered when stocks are transferred to either CFA or Distributor, there is a heavy inertia to accept a pull back of stocks. This means that companies are unable to correct mismatch of stocks lower down in the supply chain before it is too late. This is also a manifestation of the fact that industry has accepted that inefficient supply chain is a reality. This approach is often justified with statements like “Since all players are suffering from this problem, clearly the current shelf life is insufficient”. A number of R&D projects aimed at enhancing the packaging quality, improving the product formulation, optimization of process parameters are a constant in the industry. Low level of forecasting accuracy is being credited as the biggest enemy of freshness, and hence a lot of efforts are being put to increase the same by using sophisticated algorithms and considering as many variables as possible. Companies also spend extensively to get real time inventory tracking (Using RFID) and Point of Sale information. The larger the geography a company is catering from one source, the greater is the damages due to obsolescence. This is the reason why, some companies have adopted the approach of having multiple production facilities catering to a state or a region. All big players have around 10-20 Manufacturing facilities across the country. This although helps in reducing the supply chain mismatches and response times, takes away the benefits of Economies of scale, and increases the operating expenses as company has to manage multiple facilities. We generated an understanding that on one hand, Freshness is adversely impacted by high levels of inventory in the supply chain; on the other hand, Availability gets adversely impacted by reducing the inventory levels in the supply chain. Most companies constantly struggle in this conflict of high inventory (with low freshness) or low inventory (with low availability). In order to remove this conflict, we need a solution which ensures 100% availability and high freshness of products at the same time. Any other solution is a dynamic optimization (or in other words a compromise) and not a resolution of the conflict. Let us go back to the first principles and redesign the supply chain and redefine the way it needs to be managed to achieve the above objectives of freshness and availability. a) How much Inventory to keep at the various stocking locations (warehouses)? b) What is the mechanism to transfer stocks from parent location to child location? The answer to the first question lies in the understanding of why we keep inventory. Inventory is kept to satisfy the peak demand in the period it takes to get replenishment from the source warehouse. Let us call this inventory level as the Buffer Norm. 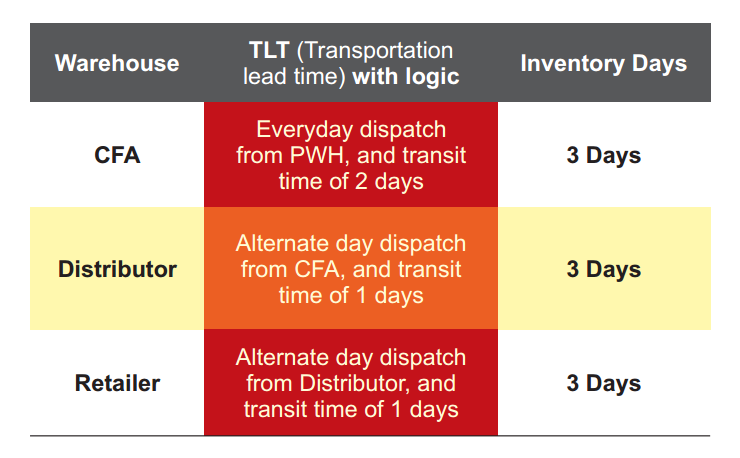 If we can ensure availability of all SKU’s at source location, the replenishment lead time is only equal to the transportation lead time (sum of transit time and time taken to form a truckload). Therefore, to reduce inventory at retailer, we need to ensure full availability at Distributor, which in turn requires full availability at CFA, which in turn requires full availability at the Plant warehouse. But In the current way of operations, the Plant warehouse is used only as a transit warehouse and stocks are being pushed out immediately (As per conventional wisdom, stocks should be present closest to the Point of Sale). 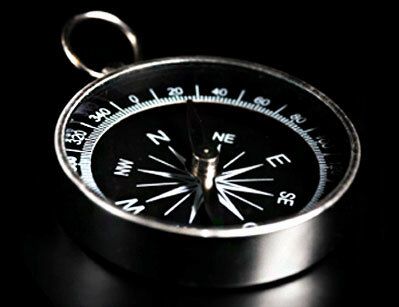 This brings us to the first big difference between the conventional supply chain and the one based on first principles. As against pushing the inventory, Plant warehouse will now hold most of the inventory. Coupled with the insight that forecast accuracy increases as we move away from POS (due to cancellation of statistical fluctuation owing to aggregation), we can say that in the new structure, maximum inventory is held at point of best forecast accuracy, which is the plant warehouse. Currently Production gets a monthly forecast; hence Order lead time (OLT) is 1 Month. By providing the production planning with visibility of plant warehouse on a daily basis, OLT is brought down to 1 day. And what happens to the accuracy of the forecast? When a link orders once a month, it has to forecast for a horizon of one month, but ordering daily reduces this horizon to just a day, thus the accuracy of the forecast is dramatically improved. By implementation of Theory of Constraints replenishment solution with the suppliers, the RM/PM availability increases to near 100 %( with reduction in inventory). This obviates the need to consider RM/PM lead time in arriving at PLT. As most plants are measured on productivity measures (Ton/Day, Capacity utilization), there is a tendency to run bigger batches. Visibility of a monthly forecast further facilitates the batching. This leads to the campaign cycle getting elongated and other SKUs have to wait for a longer period. In the new structure, Plant has a very short visibility, and hence the campaign cycle is significantly shortened and hence waiting time is reduced. The burden of additional setups is more than compensated by producing items which are immediately required rather than something else. This brings us to the second question regarding the mechanism for stock transfer. Currently the dispatch from Parent warehouse is on the basis of Monthly/ Fortnightly forecast. As we have reduced the Order Lead time to One day, there is a daily ordering by every link on its parent warehouse. The parent warehouse looks at the daily consumption at a child warehouse and replenishes the quantity. However, this doesn’t necessitate daily dispatches. The guiding principle is ‘Order Daily, Replenish Frequently’, keeping into account the transportation batching considerations. Every warehouse has a visibility of stocks at all its child warehouses. The objective is to fill the stocks up to the Buffer Norm for all SKUs. The Buffer norms are divided into three equal zones. This provides a priority mechanism for the source warehouse. 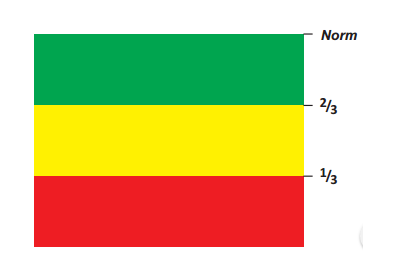 First dispatch SKUs in Red, then yellow and green last. This brings a paradigm shift from Forecast based Supply chain to a consumption based one. Let us now see what will be the level of Freshness in the above supply chain. The Plant warehouse will have inventory equivalent to the production lead time (as most perishable goods plants have production touch time of around a day, PLT in the new structure is not more than 2-3 days). Transportation lead time (including batching) to any CFA in the country is not more than 10 days; hence we need not carry stocks of more than 10 days at CFA. Similarly, we need to keep stocks at Distributors equivalent to 10 days and at Retailers’ equivalent to 3 days. Thus above supply chain can deliver 100% availability performance at less than four weeks of inventory. This ensures that the stocks on the shelves are not older than 4 weeks. Since the above performance assumes a central manufacturing facility for the entire country, company enjoys maximum benefits of economies of scale as well. So we have a solution which not only improves freshness but also improves availability at much lower inventory. What about products with Shelf life shorter than 4 Weeks? The company now has a logical method of determining how many manufacturing facilities to have. The shorter the Shelf life, the smaller is the geographical market that can be serviced by a manufacturing plant. For example, a company selling product having shelf life of 15 days can operate with just four plants in the country, one for each region. Also the transportation batching at each stage is reduced by use of smaller and more frequent dispatches. The total inventory in the system will be as shown in the table. Including the 3 days inventory at PWH, the total inventory in the system reduces to 12 days. Thus, the company can operate at 100% availability and high freshness with just 4 manufacturing locations. Similarly for shorter shelf life products, the TOC replenishment solution works well with reduced geographical scope and increased transportation frequency. Logic doesn’t necessarily translate to business results. It is therefore very important for one to substantiate any logical solution with actual implementation experience and business results. Presented below is a brief case study of our implementation of TOC Replenishment solution with a Confectionary & Beverages Major in India, Let’s call it as XYZ Ltd. It has close to 60 SKUs with a statutory shelf life of 9 months. There are two manufacturing facilities- one catering for all India Confectionary requirements and other for Beverages requirement. The Supply chain consists of around 20 CFAs (Carrying & Forwarding Agents) supplying to over 500 distributors across the country. The company used to operate on monthly forecast and products were pushed lower down the supply chain. Every year XYZ Ltd had to write-off expired stocks equivalent to around 2% of the revenues. When the stocks aged beyond 5-6 months, extensive discounting was employed to offload the inventory to distributors/ retailers. In addition, XYZ Ltd suffered significant sales owing to high levels of stock outs in the supply chain. The stock outs in supply chain were in the range of 40-60%. The engagement was started with dual objective of increasing Freshness as well as Availability in the supply chain. of the implementation was to attain 100% Availability at the Plant warehouses (PWH). Implementation of S-DBR (TOC Solution for Operations- Simplified Drum Buffer Rope) coupled with the TOC way of managing Suppliers, Led to near 100 % Availability at the PWH. The Raw material/ Packing Material availability increased to 100%, production lead times have been reduced to half without any increase in setups or process loss. Near 100% availability at the PWH acts a decoupling point between Manufacturing and the Market, thereby ensuring that plant is not exposed to the urgencies. This led to a capacity release of around 15-20% without any significant capital expenditure. of the Implementation was to move the organization from a forecast based to a pull based supply chain. This involved getting buy-in of CFAs/ distributors, deciding inventory norms, building in supply chain capability to implement ODRF (Order daily, Replenishment Frequently). Within 6 months of our implementation, we have reached freshness levels higher than 98%, which means only 2 % of the inventory in the supply chain was older than 3 months. Thus the risk of stocks getting stuck in the supply chain for over 9 months is near zero. What would appear counterintuitive is that this was achieved along with a subsequent significant jump in availability. The availability at the CFAs increased to over 95%; which means on a given day there was a stock out of only 5 % of the SKU’s. Add to this the fact that the inventory in the supply chain got nearly reduced to half resulting in additional benefits of Capital Release (creating opportunities for Range Increase by reinvesting released capital), FIFO being followed properly, lower damages in handling & storage etc. Since, the fundamental conflict between Freshness and availability has been resolved; we have reached high level of performance in both the objectives of Freshness and Availability. This makes results more sustainable, at the same time releases precious management bandwidth (earlier used for follow-ups, dynamic conflicts resolutions etc), which can now be used for developmental initiatives. The sales team which used to spend half of its productive time in following up for stocks or answering unhappy customers, can now focus on the activity they were hired for in the first place, SALES !.